DJI Innovations is the most famous drone manufacturer around the world. They started with the Phantom series and now they have DJI Mavic drones, DJI Spark, Inspire series and a bunch of Phantom quadcopter models as well as some drone for industrial use. Now they own 60% share of the consumer drone market and many consider their drones as the best. In this guide we cover all the latest DJI releases, including the brand new DJI Mavic 2 Pro and DJI Mavic 2 Zoom drones that were released in August of 2018. Released in August 2018, the DJI Mavic 2 Pro instantly became the most discussed drone. And there reasons for that. First of all, the DJI took the tried design of the original Mavic Pro and made some improvements to the drone propellers, camera and features. That is very smart of them – rather than come up with something completely new and gamble on this, you pick the advantages that makes your drone the best in the first place and improve things that were mediocre or had some serious issues. Also this way helps to fight bugs and lags which are here to happen with any advanced technological device that are quadcopters in a nutshell. Talking about improved things we come close to the DJI Mavic 2 Pro camera. This piece of technology is something that many filmmakers would pay a mint of money. Swedish camera manufacturer Hasselblad is well-known for their cameras and now they made one for the DJI. 1-inch sensor with f/2.8-f/11 adjustable aperture can record 4K video with 10-bit color depth! What can you ask more for? 14-bit video? 8K recording? The Mavic 2 Pro features a few new intelligent flight modes as well as new ESCs, quieter and faster motors. Flight time was also improved, yet it can’t be compared to the $3000-$5000 priced drones. 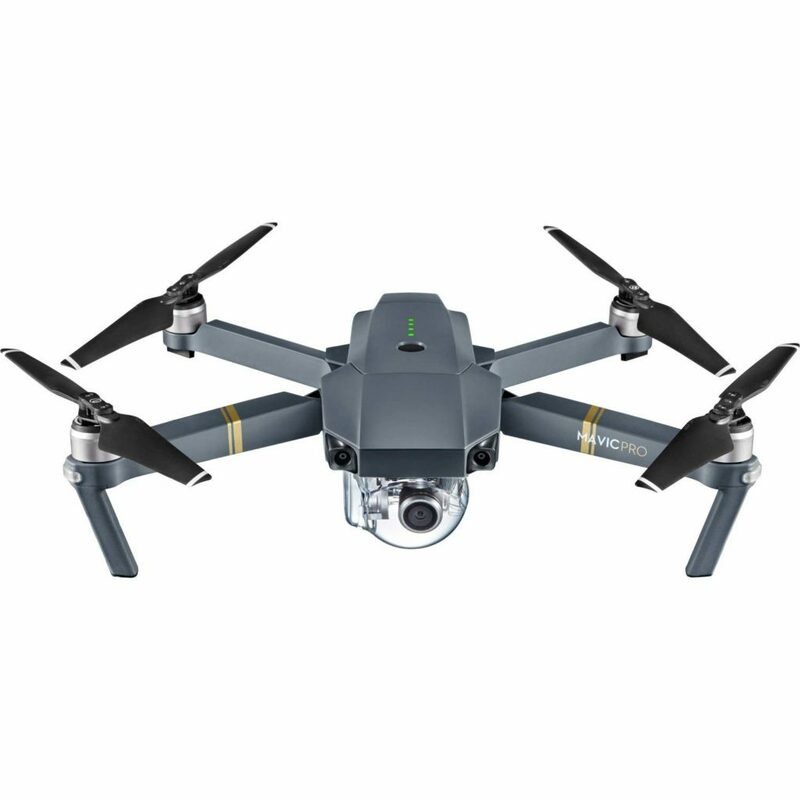 At the moment, the Mavic 2 Pro is the best drone for professional and semi-professional film-makers as well as a good value for real estate aerial video makers as the new camera is able to pick up the smallest details. For more information, go check our detailed DJI Mavic 2 Pro review. Compact and foldable drone. Easy to carry and store, doesn’t require special bags or hard cases for that matter. Thanks to the improved ESCs, the drone flies quieter and a little bit faster than the Mavic 1 Pro. DJI Mavic 2 Pro is very easy to fly thanks to detailed tutorials and general ease of use. For example, take off can be done by tapping the button in the DJI GO App! Even the children can fly this drone! Despite the small dimensions, the Mavic 2 Pro can resist some winds. Yet, we do not recommend flying it at gusts of winds! The diamond of the drone is the 1″ Hasselblad camera. It is very small in size, yet a little goes a long way as they say. 10-bit color depth and adjustable aperture stand out the DJI Mavic 2 Pro amongst other DJI drones. Basically, that’s the cheapest drone you can get that will offer you such a great video and image quality! Adjustable aperture range from f/2.8 to f/11. Now there is no need for filters when shooting in a bright day! Despite having lower real flight than advertised, 20+ minutes are enough for making good shots and capture the scenery you want. 1080@30 fps live feed transmission are done by in-built OcuSync 2.0 – improved version of the DJI Lightbridge technology that discourage drone interference and live video lagging. 5 miles range the maximum range that drones are allowed to fly and the Mavic 2 Pro can do it! The Mavic 2 Pro is a good option if you value camera quality and easy-to-fly drone above all – in this case we strongly recommend this drone to buy. DJI Mavic 2 Pro price might be unaffordable for beginners. In this case you should be looking at other DJI drones – such as Mavic 1 Pro, Mavic Air or Spark. We review them down below. DJI Mavic 2 Zoom was released at the same time as the Mavic 2 Pro. As you might have already guessed, the main difference between the Pro and the Zoom version lies in the camera. The Mavic 2 Zoom features 1/2.3-inch CMOS camera – the same sensor size that installed on the Mavic 1 Pro camera. It features 4K video at 30 frames per second and at this point you might wonder why you should pay more than extra $300 to buy the Zoom when the DJI Mavic Pro also allows you to save save money on accessories (i.e. extra batteries, Nd filters, chargers etc.). Well, there a few point that may change you mind. First of all, the DJI Mavic 2 Zoom camera has Dolly Zoom ability and 2x optical zoom. It can zoom in from 24mm to 48mm when recording 4K video. That is a huge upgrade from the original Mavic drone if you need to capture close-ups when flying up in the air without changing the drone position. Also, in 1080p mode you have 4x digital zoom – yes, it will affect the final quality, yet sometimes having an option to do this might come in handy. Secondly, flying time was increased. Sometimes, even one minute or two may allow you to shoot a scene or to change your drones’ position for a better shot. Third, the improved OcuSync 2.0 technology prevents drone from losing the position, allows 1080p streaming from the camera to your smart phone and maintain stable connection between your remote and the Mavic 2 Zoom no matter in which are you are in. If these reasons aren’t enough for you, we recommend to read our in-depth DJI Mavic 2 Zoom review where we talk more about drone’s advantages and disadvantages. Read the Detailed DJI Mavic 2 Zoom Review Here! At the same time, the drone is a little bit pricey. As the time goes, the DJI might lower the price a little bit to make the drone more appealing to a larger audience. 2x optical zoom are the main feature of the DJI Mavic 2 Zoom that makes this drone to stand-out. 5 mile flight range with 25-27 minutes of flight time allow a drone pilot to yield the best performance out of the DJI Mavic 2 Zoom and capture a lot of footage. DJI Mavic 2 Zoom might be a pricey thing if you think you don’t need 2x optical zoom or extended flight time. In this case, you may look into the Mavic 1 Pro or Air. If you already have one of these drones, we do not recommend buying the Mavic 2 Zoom. Despite having a new features you hardly be impressed and might be even disappointed with the drone. Aperture can’t be adjusted. It remains at f/2.8 with 24mm and f/3.8 at 48mm. 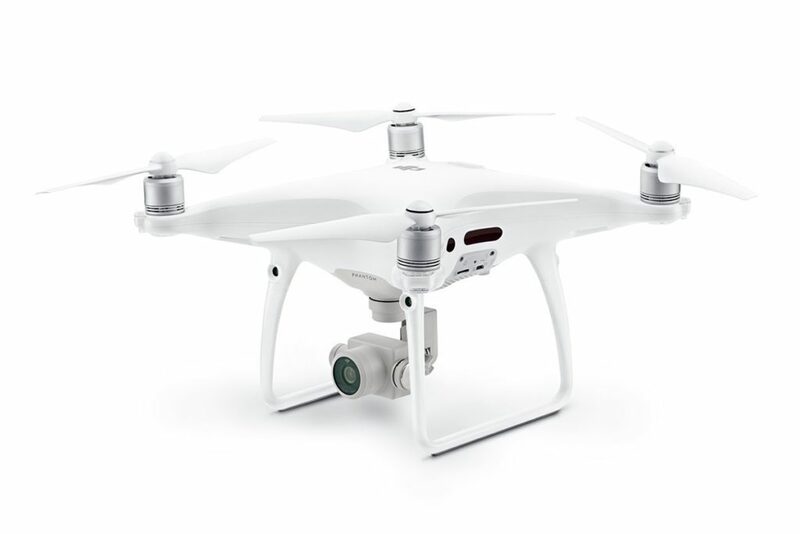 At the same price you can get the DJI Phantom 4 Pro that has 1-inch camera sensor and adjustable aperture. DJI Mavic Air was released in 2017, yet many consider it the best drone under $800. Let’s see why is that. Basically, the DJI Mavic Air stands on the line between the hobbyists drones and semi-professional and professional drones. The quadcopters is very easy to fly and lightweight. It doesn’t require any additional accessories – you buy the Mavic Air, charge the battery, read the tutorial to know how to fly the drone (if you have one of DJI drones you may skip this part) and you are ready to go. No additional assembling and setting: just unfold the Mavic Air, run the motors and tap fly on your phone. That’s it! At the same time, the Mavic Air is equipped with the last pieces of technology. These are called sensors that are a part of DJI’s Sensing System. The drone has three of them: one at the front, one at the bottom and one at the back. All of them has range of 98-78 feet of detecting any objects that are on the way, preventing the drone from flying right into trees, building, falling down on the ground etc. this safety system has saved a lot of drone’s lives as well as the owner’s money. The Mavic Air camera doesn’t set the Thames on fire, yet it can record up to 4K@30fps video but when you down your setting to 1080p you can have 120 frames per second that allows for slow-motion videos. Color depth and dynamic range are that good as the DJI Mavic 2 Pro, yet if you consider the price range that is a reasonable difference in quality. When we’ve tested the drone it had 18-minutes of real flight time with 15% of the battery capacity remains on landing. That is lower than advertised 21 minutes, yet quite close to that. In general, the DJI Mavic Air is a decent drone and with some additional accessories (ND filters for camera of extra batteries) it can be of use even for semi-professional film-making. In our Mavic Air review we go into more details about the drone as well as more of a personal experience with it. DJI Mavic Air is one of the most lightweight camera drone at the market today no one has made such a small drone packed with high-end technologies! Small dimensions allows to store the drone even in your purse – no extra bags or cases required. Forward, Backward and Downward sensors ensure the drone safety during the flight. Charging the drone battery is fast – around hour and a half compared to 2 or 3 hours of other drone at the same price. The accessories availability can turn the Mavic Air into one of a beast! Decent flight time of 18 minutes – in more acceptable weather conditions 18 minutes can raise up to 20. Long range of 4 miles. FPV transmission is available via WiFi that can be easy interfered. Compared to the DJI Mavic Pro, Mavic 2 Pro and Mavic 2 Zoom OcuSync transmission technology WiFi is very unstable and can’t maintain stable connection and live feed at a long distance. If you a new to the drones you might be looking for a cheaper RC aircraft. In this case, the DJI Spark is a better quadcopter for you. DJI Mavic Pro is a “Dad of All the Drones” nowadays. Despite not being the first DJI drone – that title goes to Phantom – this quadcopter was a breakthrough in drone industry. Small dimensions and light weight made it the best consumer drone in 2016 and it still holds it title. Let’s dig into that a little bit. Basically, the main feature the drone DJI Mavic Pro has is it’s ability to be folded up. This allows a pilot to carry the drone with ease. With a regular drone you would have to either disassemble the drone before put it into a store or to have to buy a special bag (or better a hard case) to travel safely. With the Mavic Pro these aren’t the case – the drone is lightweight, foldable and can be put into a flight conditions within a few minutes. The Mavic Pro is equipped with 1/2.3″ CMOS camera. The 12 megapixel camera can record Cinema 4K, 4K, 2.7K, Full HD and HD video at 24fps, 30fps, 30fps, 96fps and 120fps respectively. As you may see, the Mavic Pro allows to record 120 frames per second video only at 1280×720 resolution when the Mavic Air has it at 1920×1080. So if you want to capture high-quality slow-mo video the Air model might be a better variant. Also, it will save you some money. Overall flight time is limited to 21-22 minutes. Advertised 27 minutes aren’t true as if you are going to use the full battery capacity you might end up losing your drone. If you want to fly longer at a session you should buy more batteries – fortunately, the extra battery will cost you no more than $150-100. More about DJI Mavic Pro features we talk in our Mavic Pro review. In general, the DJI Mavic Pro is a very good drone both for professional drone flyers and beginners. First are satisfied with the flight and camera possibilities the drone has to offer and second value it’s easy in use and a range of intelligent flight modes. Small and foldable drone that is easy to carry and store. Doesn’t require special skills to fly – the DJI Mavic Pro comes with a lot of printed and in-built tutorials that are easy to follow. Decent camera quality that allow to record Cinema 4K or slow-mo videos. 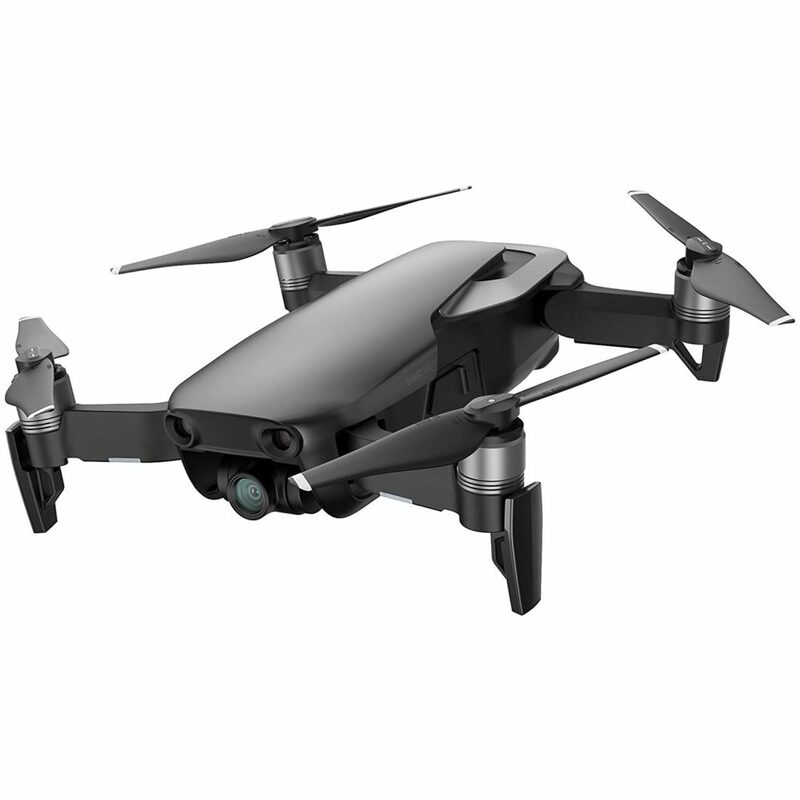 Many find the Mavic Pro to be a very balanced quadcopter that has a reasonable price for the features. Long flight range that is maintained by DJI OcuSync technology. It prevents many outdoor interferences and assures stable connection. 2 sensors (front and bottom) are a good addition to the drone safety. Being a fairly old drone, the Mavic Pro firmware was updated many times and long ago, meaning most of the bugs has been solved thus making the flying experience more pleasant. The DJI Mavic Pro lacks in sensors compared to omnidirectional obstacle avoidance for the Mavic 2 Pro and Zoom. The newer Mavic Air has one additional sensor and a new pre-installed intelligent flight modes. Can’t record Full HD videos at 120 frames per second. Lacks the stability of the new OcuSync 2.0 installed on the Mavic 2 Pro & Zoom. DJI Spark is the tiniest drone among the presented here. It measures only 5,6 by 5,6 by 2,1 inches and weights 0.66 pounds. The drone is so tiny it can fit into your purse! 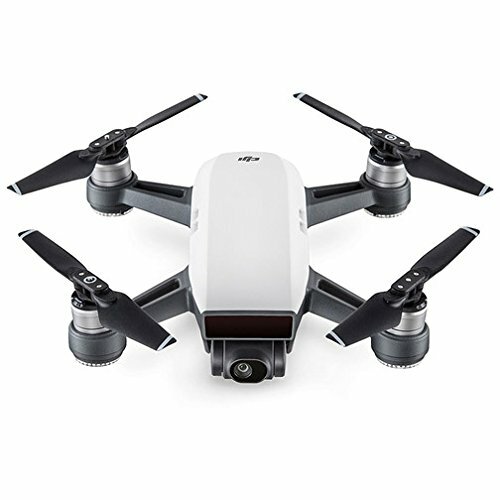 Basically, the dimensions and weight along with the price are the main reasons why the DJI Spark is so popular among the beginners and drone enthusiasts. The drone can be travel anywhere with, easy to start off and operate. A great mini drone for kids and adults! Compared to the Mavic series or Phantom 4 Pro drones, the DJI Spark has 2-axis gimbal. The camera records 1080p video – actually, it can record 4K, but during the process of recording, the bigger resolution is used to stabilize the video, hence at the end 1920×1080 video is captured onto your microSD card. You can argue that DJI could’ve made the drone to capture 4K at 30 fps at the expense of image stabilisation, but I would disagree here. The image quality is decent and for home use 4K is not that much of a use. The DJI Spark can fly up to 14-15 minutes, depending on the weather conditions. Be aware of gusts of wind – the drone is very lightweight! More about the drone you can read in our DJI Spark review. Small and lightweight but durable and smart. Easy in use, the DJI Spark has a lot of installed flight modes. If you are new to the drone industry, you may find them interesting to use. Decent camera quality for the drone under $300. The best drone in terms of size/price/features. If you want to experience the full drone flying range you need to buy the remote controller that costs extra $100-150 thus raising the price up to 425-450 dollars. In that range you can buy an old DJI Phantom 3, or even used DJI Mavic Air that is a better drones that offer a wider range of possibilities during a flight. Small range without the controller, only 200 feet. WiFi connection isn’t stable at large distances and are easily interfered starting at 150-200 feet distances. DJI Phantom 4 Pro is the last drone in our list. It is a successor to a best-selling drone of 2016 which is Phantom 4, as you might have guessed. The Phantom series has a long history (compared to other DJI quadcopters) thus making it one of the best drones when we are talking about the flight stability, features and general drone experience. The Phantom 4 Pro is a giant compared to Mavic Pro and other drones. It measures approximately 15″ by 11.4″ by 7.7″ (specific numbers can’t be applied here because of the landing pad) and is 13 inches in diagonal size. It weights 3 pounds – one pounds more than the DJI Mavic 2 Pro & Zoom and it can’t be folded. Hence, if you want to take the drone with you onto a journey, you gotta find a proper case or a bag for this beast. However, this isn’t much of a drawback in this case. Big dimensions and middle-range weight make the Phantom 4 Pro one of the most stable drone when hovering in this price range. Gusts of wind are as deadly to it as for the Mavic 2 Pro or Spark, especially. Also, the drone firmware was updated so many times so there are only little bugs left that won’t affect a drone experience that much. The DJI Phantom 4 Pro is equipped with 1-inch CMOS camera. Yet, it is not made by Hasselblad and it can’t record in Dlog-M 10-bit color mode video. Although the drone’s camera can record in Cinema 4K mode up to 4096×2160 at 50 frames per second. It seems that 60 frames per second are left for the future DJI Phantom 5. All video are captured with 100 megabit per second speed. The Phantom 4 Pro range is limited to standard 5-6 miles, depending on the weather conditions and your skills as a pilot. More information on the drone can be found on DJI Phantom 4 Pro review page. When hovering the drone is stable and thus the image isn’t twitching. 1″ camera can make beatifull pictures and capture Cinema 4K video at 50 frames per second. That’s the maximum frame rate in this resolution for the DJI drones listed here. The Phantom 4 Pro has a range of 5-6 miles. The drone’s firmware was tuned a long time ago, so you won’t be having some deadly lags or bugs during a flight. The Phantom 4 Pro is cheaper than the new DJI Mavic 2 Pro, but it can deliver almost the same video&image quality. Live feed is only 720@30 fps. Video is recorded in 8-bit color mode. Isn’t as compact as the Mavic series drones. Let’s summarize all the information above and answer the question “Which DJI drone should I buy?”. You should buy the brand new DJI Mavic 2 Pro if you value the image quality over everything else as well as stable connection at long ranges and full branch of intelligent flight modes. You should buy the DJI Mavic 2 Zoom if you often need to zoom-in you objects during a flight. Otherwise this drone isn’t much of an upgrade over the Mavic 1 Pro. You should buy the DJI Mavic Air if you don’t do many professional aerial videos or don’t do it at all. The best drone for home use in 2018! You should buy the DJI Mavic Pro if you want to save some money but have almost the same flight experience as with the Mavic 2 Zoom. You should buy the DJI Spark if you are a new to the quadcopter industry and you want to make your first steps in aerial filming and pilong a drone. You should buy the DJI Phantom 4 Pro if you need to record 4K videos at 50 frames per second with a decent 1-inch camera sensor.